Welcome to the 679th Edition of my series. I hope everyone has a good Thanksgiving this week. I am thankful for my supporters. I don't have any shows coming up at this time so I'll just get on with my selections for the week. Twelfth Night (1980): I start the week out with some Shakespeare in this BBC tv movie which was directed by John Gorrie. This is one of Shakespeare's comedies which centers around twins Viola and Sebastian, played by Felicity Kendal and Michael Thomas. Viola manages to disguise herself as her brother and she works for Duke Orsino, played by Clive Arrindell, sends Viola to do jobs thinking she is Sebastian leading to some comic misunderstandings. 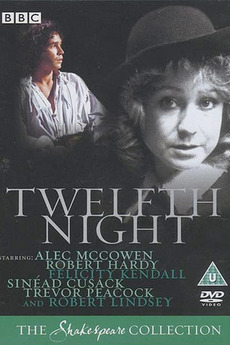 Alec McCowen, Robert Hardy, Annette Crosbie, Sinead Cusack, Trevor Peacock, Ronnie Stevens, Robert Lindsay, Maurice Roeves, and many others co-star in this film. The easiest way to put this is if you like Shakespeare, this is one to watch and if you don't like Shakespeare I don't think this will change anything. This is a pretty well done production of the Shakespeare comedy and is available to watch on the Kanopy website. 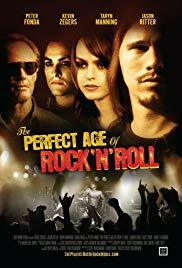 The Perfect Age of Rock 'n' Roll (2009): I now follow this with a rock movie which was directed and co-written by Scott D. RosenbaAum. Kevin Zegers stars as Spyder who lead a band that had a very successful debut album but a second album which flopped. He looks to get his bandmate Eric, played by Jason Ritter, back as they embark on a road trip as Spyder tries to get a third album and we learn throughout the movie of why Eric is so reluctant to join. Lukas Haas, Lauren Holly, Aimee Teegarden, Taryn Manning, James Ransone, Peter Fonda, Billy Dee Williams, Ruby Dee, Kelly Lynch, Michael Kenneth Williams, and many others co-star in this film. This is a pretty decent independent film of a road trip and the unexpected places it can go. It also has a good soundtrack. This is available to watch on Hoopla. 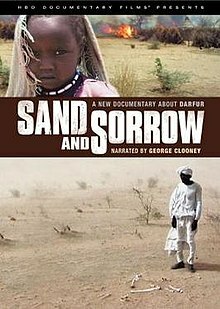 Sand and Sorrow (2007): I follow up with this HBO documentary which was directed by Paul Freedman and narrated by George Clooney who also produced. This takes part in the Darfur region of Sudan and the rise of the Arab-dominated government as well as the genocide that takes place there. This also takes a look at all the horrid things happening and no response from us. This is a very eye-opening documentary and one that everyone should see. I hope things are getting better in that country since the year it came out. 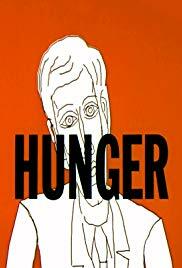 Hunger (1974): This is my animated short for the week which was directed by Peter Foldes. This is early film done by computer animation and a man's slow descent into gluttony and greed. This is a visual film and there is no dialogue or narration. It does not need those things to see what is happening to the featured character in this satire on self-indulgence. This is available to watch on Filmstruck until its shutdown date of November 29th. 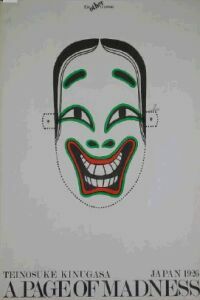 A Page of Madness (1926): This is my silent film for the week and it is also Japanese horror. Teinosuke Kinugasa directed this film which takes place in an insane asylum. 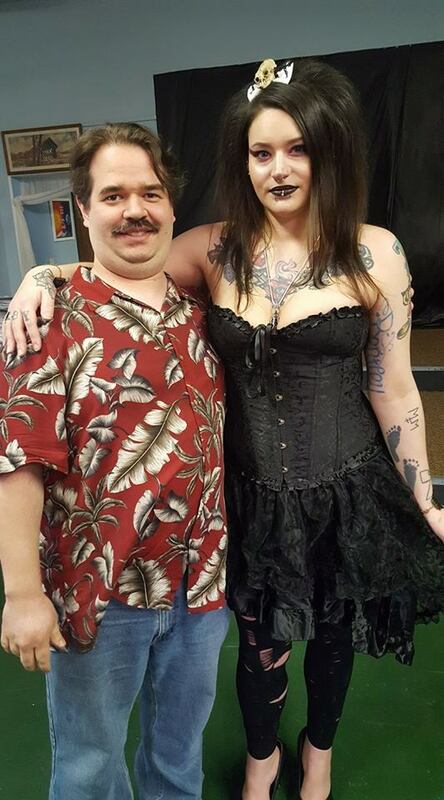 A man takes a job as a janitor at an insane asylum in a scheme to break his imprisoned wife out of there. It is hard to explain this beyond what I gave. This was lost for decades but rediscovered in the '70s. Like my first selection, this probably is not for everyone but has its audience. For those who love silent films and especially those who love Japanese horror. The Japanese release some pretty bizarre films and this is not much different. This is also available to watch on Filmstruck. Peter Pan (1955): This is a television production of the famed Broadway musical based on the famed story from J.M. Barrie. 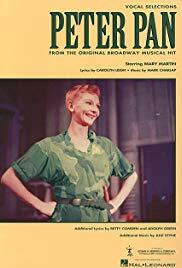 Mary Martin stars as the first Peter Pan of this musical who meets siblings Wendy, John and Michael and takes them to his world of Neverland where children never grow up. While there, we meet the Lost Boys, the evil Captain Hook, played by Cyril Ritchard, and Tiger Lily, played by Sondra Lee, among others. I think just about everyone knows the basic story here. In doing research to write this, I discover that in 1991, J.K. Simmons plays Captain Hook so that is something I'd be curious to see. Martin shines in her very iconic performance as the boy who could fly. This was a television broadcast of a Broadway musical before it became quite the thing. This is available to watch on Amazon Prime. 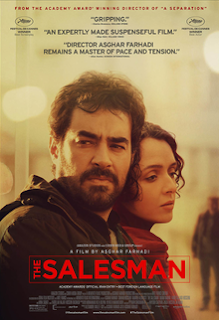 The Salesman (2016): This is my Iranian film for the week which was directed by Asghar Farhadi. Shahab Hosseini stars as Emad who works as a teacher and is in a local production of DEATH OF A SALESMAN with his wife Rana, played by Taraneh Alidoosti. Rana gets assaulted in her new home making Emad obsessed with finding who did it. Babak Karimi and Mina Sadati co-star in this film. This is a pretty decent thriller from Iran of a decent taken over the edge. 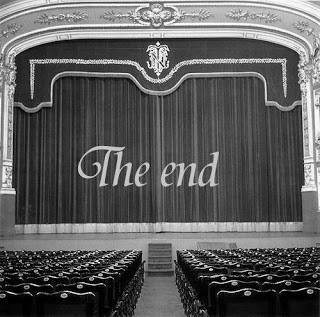 I also really liked the theater element of the film. This is available to watch on Amazon Prime. 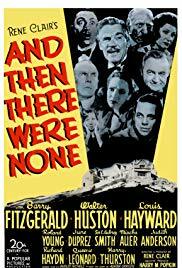 And Then There Were None (1945): Rene Clair directed this adaptation of the famed Agatha Christie Story. Seven guests, a newly hired personal secretary, and two staff are gathered for a weekend on an isolated island and learn they are on the island to get murdered in the vein of the poem "Ten Little Indians" as they get killed one by one leaving them to question each other on the killer. Barry Fitzgerald, Walter Huston, Louis Hayward, Roland Young, June Duprez, Mischa Auer, C. Aubrey Smith, Judith Anderson, Richard Haydn, Queenie Leonard, and Harry Thurston. This is always been my favorite story of Christie. I also realize it appears to be the possible inspiration for SAW II. Good and clever whodunit with good performances that keeps one guessing and this is also available to watch on Amazon Prime. 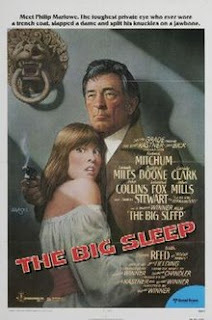 The Big Sleep (1978): This is part one of a possible Robert Mitchum trilogy. Michael Winner directed this version of the Raymond Chandler novel which stars Mitchum as private investigator Philip Marlowe. Marlowe is hired by General Sternwood, played by James Stewart, to investigate the blackmail of one of his daughters which leads to a more complicated case. Sarah Miles, Richard Boone, Candy Clark, Joan Collins, Edward Fox, John Mills, Oliver Reed, Harry Andrews, Richard Todd, and many others co-star in this film. Last week, I featured the original movie version from 1946 which had the iconic performance from Humphrey Bogart so Mitchum had big shoes to fill and I thought he gave a good interpretation to the role just like Bogey. This still has the very complicated story that the original has but felt the narrative made it a little easier to follow. This is a more gritty version in my opinion and did some things they could not do in 1946. I feel both versions have their own image and could make for a good double feature. Also something interesting of not is that Mitchum and Stewart died about one day apart. This is available to watch on Filmstruck. 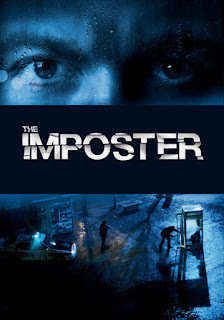 The Impostor (1978): I end the week with this documentary and a special segment of "Movie Time in the Town of Pottersville". I was hanging out at my friend Stephanie's house and when getting there, she was watching old episodes of UNSOLVED MYSTERIES. As we got to talking, I brought up this movie and explained it to her. This became the unexpected 10th selection selection when Steph decides to search for the movie on Amazon Prime and found it is available This is a documentary directed by Bart Layton where a Frenchman claims to be the son of a missing Texas family who has disappeared for three years. This is a very non-biased documentary but I do not believe I will explain further. When I looked this up on imdb, the review on hand said "the less you know, the more interesting it will be" and I must say that I agree. This whole thing was very bizarre and even plays on our emotions more with a heavy handed music score that was rather disturbing. This is a very fascinating documentary that will leave many just scratching their head but cannot take their eyes off of it. This has always been one of my favorites and Steph seemed to like it. Her five year old son did not seem to like it much. When walking in, he asked when the fighting was going to start and had to tell him there really was no fighting in this movie plus he was anxious to play Candyland when the movie was over which did happen. As mentioned, this is available on Amazon Prime and is a very intriguing documentary to watch. Well, that is it for this week. 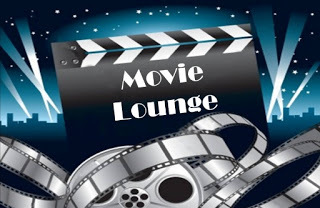 Tell me what you like and dislike and stay tuned for next week which so far includes Holly Hunter, Barbara Hershey, Robert Mitchum, and many others.